Traditional Inuit throat singing imitates the sound of the environment and was used as a game between women and to sooth the babies being carried on their backs. This piece mixes those traditional songs with the serene sounds of moving water and trees. 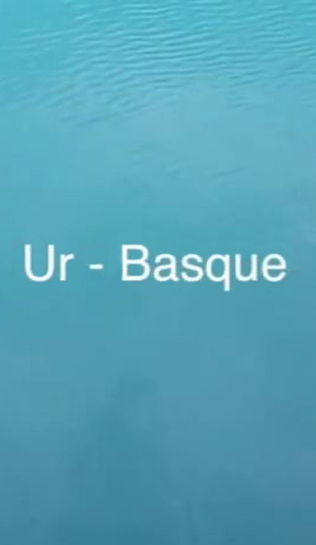 Multiple languages explore the universality and ubiquity of water. 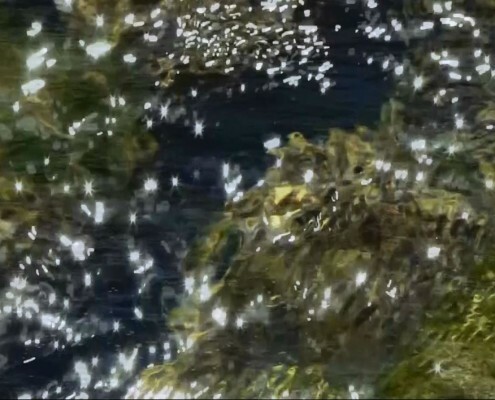 Words for Water is an evolving project that explores notions of place and its connections to culture, language and the environment by evoking words, stories and images related to the subject of water. 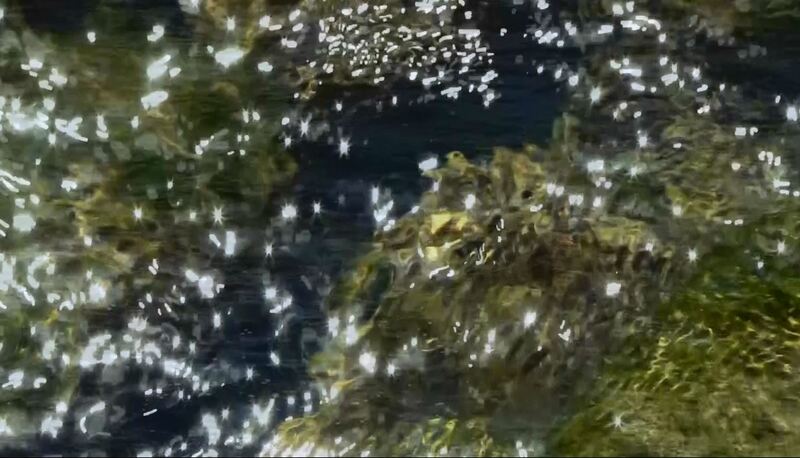 The project utilises a range of media including video, soundscapes, photography, augmented reality and installation to create meditative works about H2O. 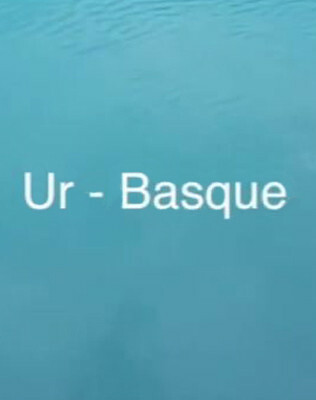 This video projection work is the second version of the video and features over 60 languages. 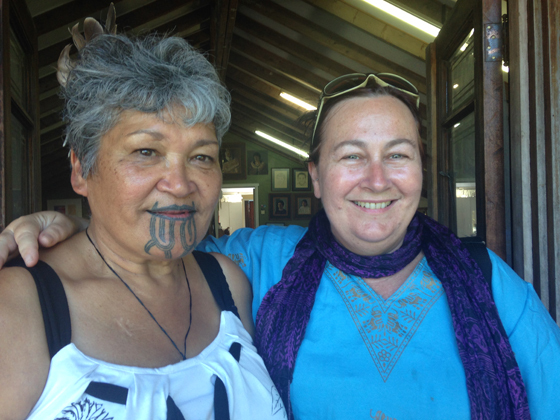 Tracey Benson (on right) with Maata Wharehoka of Parihaka during SCANZ 2015. Tracey Benson is a green geek/artist/researcher into connected communities, UX, WCAG, Gov.2.0, sustainability, tech/art synergies, maps and FOSS. 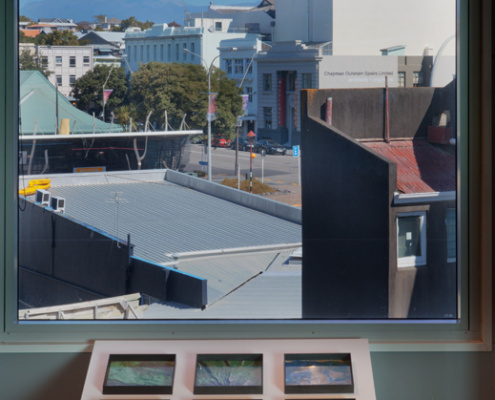 Tracey has been active in a number of media arts communities: in 2007, she co-founded the Canberra chapter of dorkbot with Alexandra Gillespie and was also a moderator on the internationally renowned new media list Empyre from 2005-07. She has participated in many international digital media events including: SCANZ2013, ISEA2011, THAT Camp Canberra 2010, ISEA2008; AOIR 2006; ISEA2004; Siggraph 2001; N5M4, Amsterdam 2003; N5M3; MAAP’99 and MAAP2000. More recent creative explorations have utilised mobile and hand held online technologies for the creation of virtual and augmented reality works. This has coincided with an increased focus on working collaboratively with Indigenous groups and individuals to gain better understanding of the landscape we inhabit and to raise awareness of the environmental crisis humanity is facing. In 2001 she received a Research MA from Queensland University of Technology, focusing on souvenirs, nostalgia and personal identity. In 2010, Tracey was awarded a PhD at The Australian National University, which explores online communities and social networking tools. Recent publications include chapters in Mobile Media Practices, Presence and Politics and Locating Emerging Media. 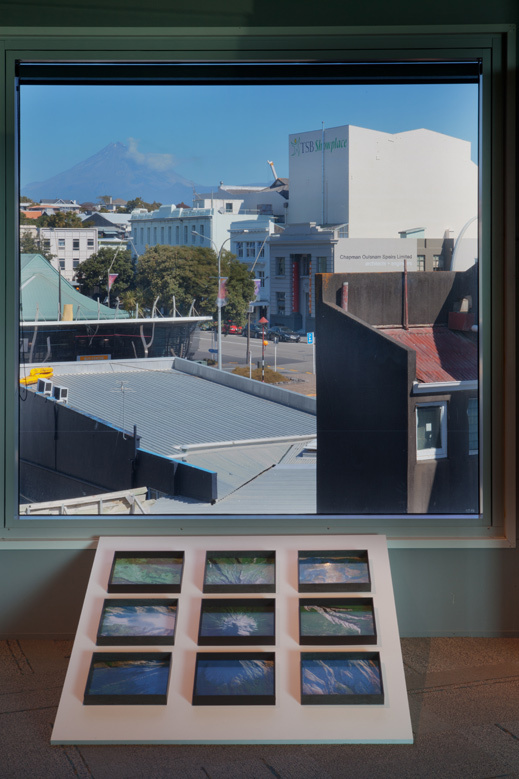 Fauxonomy – Message to the Mountain 2013, exhibited in Puke Ariki. Tracey Benson attended SCANZ 2013:3rd nature and exhibited Fauxonomy – Message to the Mountain 2013 in Puke Ariki such that both the creative work (about relationships to the mountain) and the mountain itself could be viewed as one.